This decal set includes two Eagle II stickers and two safety warning stickers. Perfect for a restoration project on your Sachs Eagle II! Also perfect if you like new old stock vintage sticker decals. These decals are original and around 40 years old. We have no reason to believe this will compromise their effectiveness but please keep in mind that they are new old stock, unused and untested. We've sold a variety of NOS decals without issue but contact us before you make your purchase if you have any concerns. 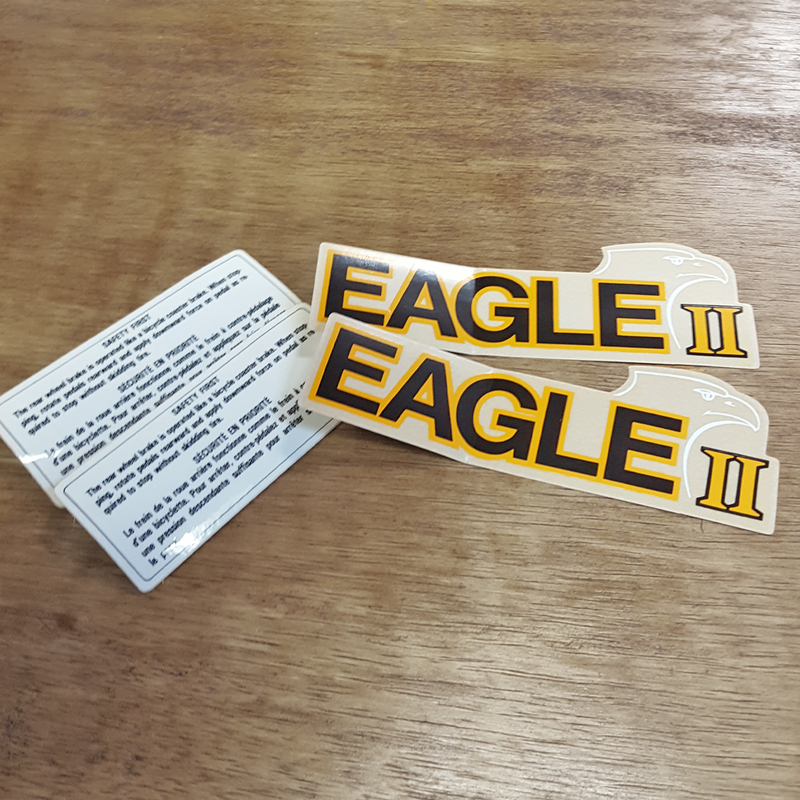 We also have new old stock Eagle I and brand new reproduction Eagle III decal sets!